For almost 50 years, hyco Vakuumtechnik has maintained a consistent focus on solution-oriented requirements in the OEM sector for transporting gaseous media whilst complying with the highest quality demands. This enables special customer wishes or special and custom versions to be manufactured alongside mature serial products in small production runs and in the highest quality. Intensive and customer-oriented consulting are a top priority for us in order to achieve this objective. 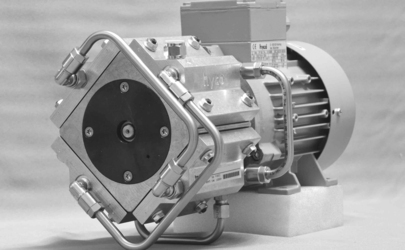 The markedly better-than-average service life of our products in combination with their economic efficiency at an attractive product price, remains a long-term guarantee within a reliable process control system. 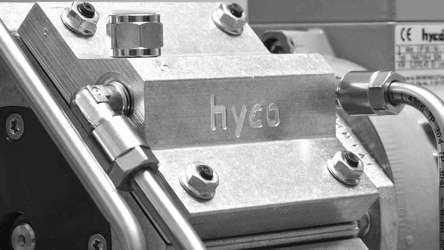 Attaining this high quality whilst simultaneously observing the environmental principles are central factors in the hyco® company philosophy.